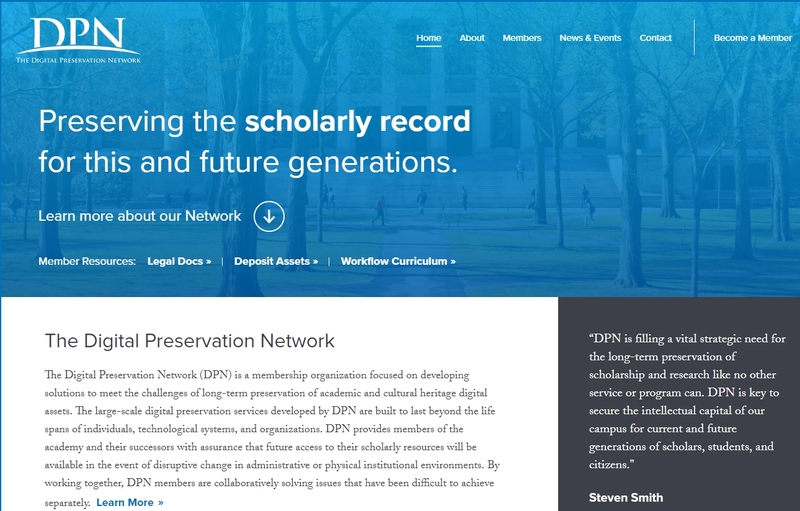 CDL is a founding member of the Digital Preservation Network (DPN), a coalition of over 50 academic libraries, foundations, and non-profit memory institutions dedicated to the long-term preservation of the scholarly and cultural record. UCLA and UCSD are also DPN members. DPN supports a high level of preservation assurance through widespread replication of digital assets across a geographically-dispersed network of five technically and administratively heterogeneous repositories. DPN membership agreements also incorporate language (a “quitclaim”) that ensures continuity of preservation management in the event a member organization cannot or chooses not to continue to exercise stewardship responsibility for material previously contributed to the network. As a benefit of membership, CDL has the opportunity to contribute up to 5 TB of content to DPN annually at no additional cost. Due to a flurry of deposits by DPN members at the end of 2017, submission processing took longer than expected, extending into February 2018. To avoid a similar rush this year, the deposit of the 2018 Merritt material will begin earlier, with planning starting in September.